During the sweltering summer, we go to rivers, beaches, and pools to cool ourselves off. 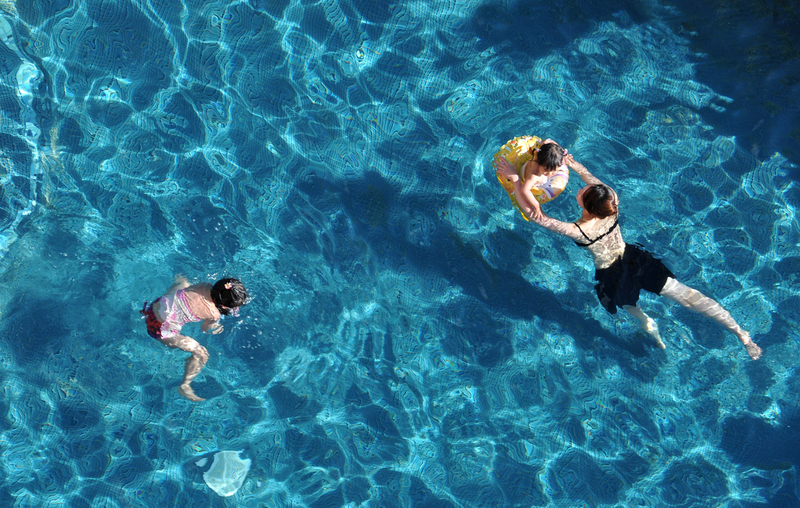 A picture taken from above of a mother and children swimming in the pool. It intends to convey a cool summer bathing experience and motherhood at the same time.